SHAMSUDEEN, a student of the University of Ibadan had wanted to complete his project work before the submission deadline of November 30 set by the school. His hope, however, has hit the rock due to the University College Hospital’s failure to release the data he needed. On July 9, Shamsudeen made a request to obtain the number of patients with sickle cell anaemia admitted by the College Hospital over the last ten years to assist his project work. At the Hospital, he was directed to the Ethics Department for the needed data. There, a Mr Simeon Nnaji at the Ethics Department told him to write a proposal which he eventually submitted on the 20th of July. With corrections effected on the initial proposal, he was asked to submit four copies of the reviewed copy and a disk containing it. But after submission, he received another mail asking him to come back to see newly discovered errors in the copies submitted. This time around, he was to submit another two copies of the latest version of the proposal. Shamsudeen was almost giving up on ever getting a response when eventually, on September 13, he received another mail telling him he could come for his Ethical Approval. Ethical Approval is the document that shows that the data requested is fit for collection and that the person making the request is worthy. It’s a letter from the Director of IAMRAT (Institute For Advanced Medical Research And Training) that gives the applicant an approval to begin research or collect data. However, to get it, a token of 1000 must be paid as an Ethical Approval fee. After payment, he was directed to CMAC Department where he was asked to pick the data requested from the Department of haematology. On getting there, Shamsudeen met another setback. He was asked by the HOD to submit a new proposal addressed to the Department. “The next day when I got there, the HOD said they have not been releasing their data all this while because they worked for it and sweat for it. Even after paying N1,000, the HOD was still not willing to release the information even though it has been released by the Medical Advisory Committee. Without a way forward, Shamsudeen is left only with the option of starting the project from the scratch. This means he has to change the topic. Another student who declined to be identified for fear of victimisation had a similar experience. “At the office, I was given guidelines on how to write a proposal for my ethical approval. I was also told to make four spiral bind copies of the proposal and a disk containing the proposal. I did,” she narrated. She, like Shamsudeen, went back and forth that eventually led to nowhere. Nothing happened until after a month of waiting. “After I collected it, I did not bother to go there again since the collection of the ethical approval took me like a month to get. “When the ethical approval took me a month to get, why won’t the data I need not take me more than 2 months to get?” she lamented. Getting information from UCH is about whom you know. While many students could not get past the stage of Ethical Approval, Tomiwa (not real name) was “privileged” because her sister works in UCH. Nonetheless, she too went through the stress of getting data from the Hospital even after paying and after she had already gotten approval, it still didn’t matter. “We went through all the procedures and also got our ethical approval all for nothing. It is not easy at all for UI students to have access to UCH data,” said Tomiwa. In fact, Section 7, subsection 5 further puts it that when such refusal is established to be wrongful, the defaulting institution or officer is liable on conviction to a fine of N500,000. 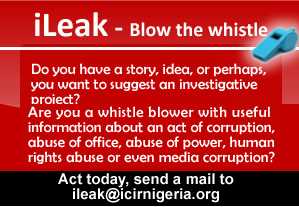 In order to have a firsthand experience of the situation, this reporter, on November 11, sent an FOI request to the mail of the Chairman of the Medical Advisory Committee (cmac@uch-ibadan.org.ng). Till date, no response has been gotten — not even an acknowledgement in the least. On November 18, a reminder was equally sent; yet no response has been gotten. Again, on November 12, when this reporter paid a visit to submit the FOI request to the Federal hospital, the request was rejected by the staffer on duty at the Hospital’s Medical Advisory Committee (MAC) who identified himself as Mr Babatunde. When this reporter told him the request is an FOI request and the Nigerian constitution recognises it, he downplayed its relevance, saying the act is not binding on UCH. He insisted that whoever would get any data from UCH must obtain an ethical approval. But experiences of many students have shown that, getting information from the hospital is equally hard, and in fact, sometimes a waste of time. And paying for ethical approval is no guarantee to getting data. The Hospital’s Head of Information Department, Ayodeji Bobade, said during a phone interview that the FOIA has not “being domesticated in Oyo state” even though UCH is a federal parastatal. Attempt to explain that he has a wrong interpretation of the law was rebuffed. He later dropped the call and several calls made later using different numbers were not answered. Also, a text message sent to his line was not acknowledged nor responded to.